Between fuel and labor charges, moving your freight is an expensive and equally stressful experience. If you're outsourcing these responsibilities, you're entrusting your most high-value consignments to someone else. This is where UNIVAL Logistics comes into the picture, and with our effective solutions we save you money. 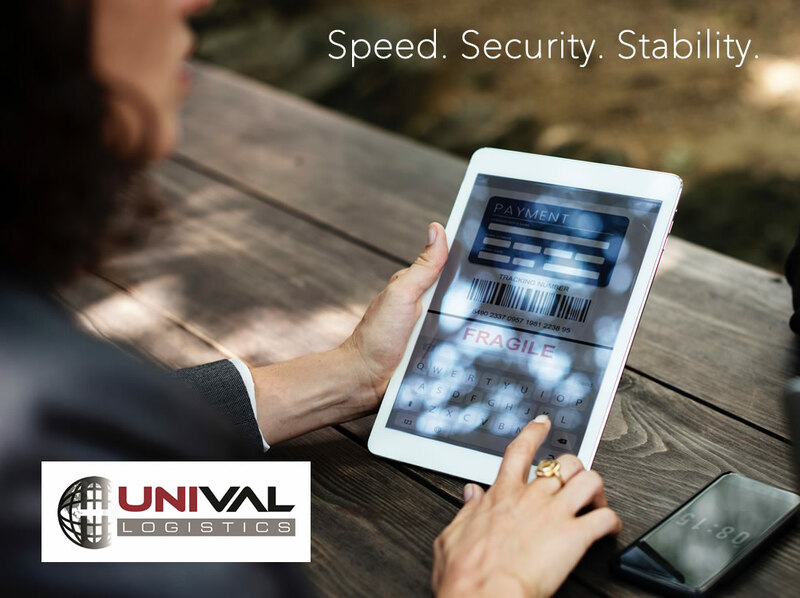 UNIVAL understand your concerns as a business-owner, and the importance of reducing your short- and long-term freight costs. Our industry-leading supply chain workflow and management, and a sophisticated planning mechanism optimizes your shipments and reduces costs. As a leading multi-modal shipping solutions provider, we minimize costs by finding the finest transportation mode that optimizes the routes and the distance. Using a confirmed, step-by-step procedure, UNIVAL selects the most suitable carriers on your behalf, performs countless sophisticated analyses, and negotiates several rounds of bidding to map out the perfect shipping criteria to save up to 25% percent more on the transportation services. We keep in mind the urgency of your delivery, and identify the different available modes of transportation with the carrier, so that we can come up with the most reasonably priced plan for your cargoes. We compare the chosen carriers to match their cargo solutions and costs with your shipping requirements. We also trim down shipping costs by consolidating your shipments. The result is a streamlined process, a simplified rate structure and higher up-front cost savings and a lot lesser stress. UNIVAL Logistics employs an innovative, up-to-date, and customized transportation management technology in the industry to offer efficient shipping solutions to our clients. We combine our state-of- the-art technology, best-in-class logistics and load planning tools, proven methodologies, and a warehouse management application to become the transportation aspect of your business. Our high- end technology is really convenient and speeds up the entire process of fulfilling the outbound shipping order lifecycle. UNIVAL offers a host of supply chain tools that takes care of planning and optimization of orders, carrier selection and management, along with freight audit and payment. UNIVAL creates customized inventory planning process for each order. Our load planning process is dynamic. We utilize iterative optimization tools to work with the assigned carrier and coordinate the cargo pickup arrangements. From order times and pickup numbers to documentation, UNIVAL streamlines the procedure, creating a single point of contact with our team. Electronically linked to the carrier base, UNIVAL supervises all transport activity for on-time delivery. We are notified every time a carrier arrives or departs a new location offering complete visibility of the order's current location. Throughout the order lifecycle, we capture the data required to build custom reports that measure the key performance indicators that drive your business. UNIVAL Logistics attaches an importance to reliability as much as its consumers, we have the trucks, drivers, and terminals to pick up and deliver your cargoes 100% on time, without any damage. UNIVAL has world-class capabilities for offering a reliable service, and throughout 14 years of cargo shipping by ground and air, we've become a trustworthy carrier for shipments of all sizes and types. Whether you want to ship regionally, nationally or across the borders, we have reliable carriers near you. All businesses fear risk, and transportation is not an exception. Equipment failures, driving accidents, insurance issues, federal regulations, theft, non-delivery, and capital investment; all these risks are erased by us. Our unique presence as a multi-modal shipping provider meets your business and personal goals, quickly and reliably. Behind the ironclad security and reliability of UNIVAL is the industry's biggest networks of quality carriers including thousands of autonomous fleet owners, drivers and teams. You'll benefit from our ability as an eminent provider of end-to-end supply chain solutions internationally and in the US. Our reliable drivers know the effective ways to perk up fleet safety, avoid crashes and improve consumer satisfaction. Our constant training and retraining the drivers on vital driving skills make them capable of handling the daily challenges of cargo transportation. Problems don't arrive in a schedule. Thus, whenever an unlikely issue arises with your shipment somewhere within the route, a reliable and helpful UNIVAL professional will solve your issue in no time, on a 24/7 basis.